Click on the link below to get software to find a your comports. 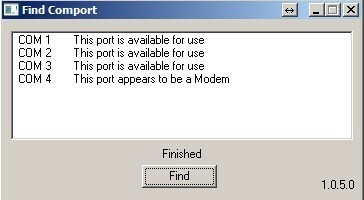 How to verify what Com Port you have on your computer. 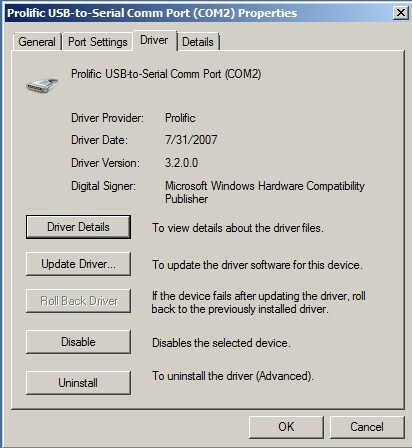 Windows 7 may try to update this driver in the future. If this occurs, turn off automatic updates. 1) Insert your USB Programming Cable. If there is a yellow warning triangle under 'Ports' or 'Other Devices', you have an incompatible driver and need to continue. 1) Create a new work Folder on your PC. 2) Download the Prolific 3.2.0.0 driver. 3) Remove the USB programming cable from your PC. 4) Double-click the file that was saved into the work folder and follow the prompts until it is completely installed. 5) Plug the USB programming cable into the USB port of your PC. You should see a balloon popup that says "Installing device driver software"
You will see one of the following errors in Device Manager. In 'Other Devices' the 'USB-Serial Controller' is proceeded by a YELLOW warning. 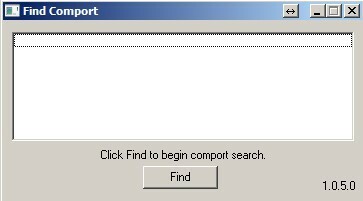 In 'Ports (COM & LPT)' the 'Prolific USB-to-Serial Comm Port (COMx)' is proceeded by a YELLOW warning. "Browse my computer for driver software". 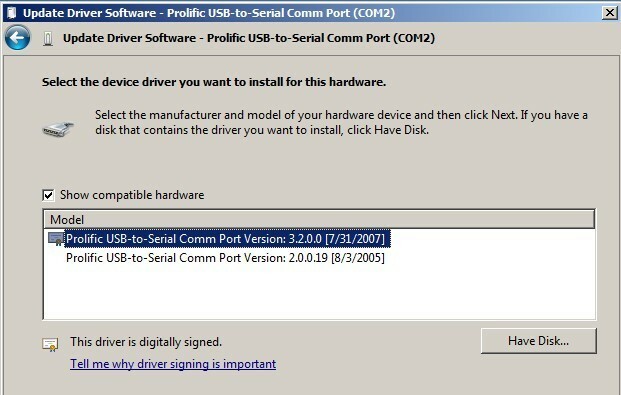 "Let me pick from a list of device drivers on my computer"
"Prolific USB-to-Serial Comm Port Version: 3.2.0.0 [7/31/2007]". 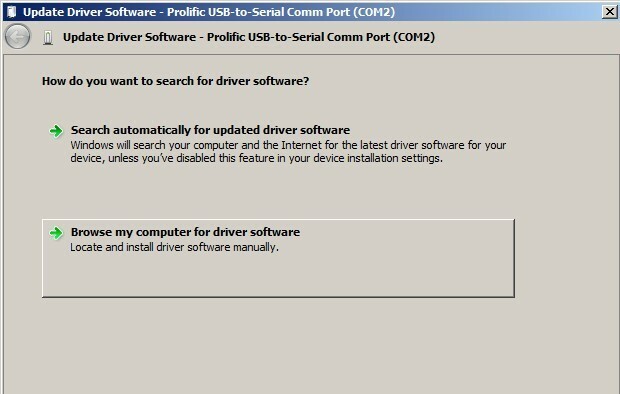 You should get a prompt saying that the driver was installed successfully. 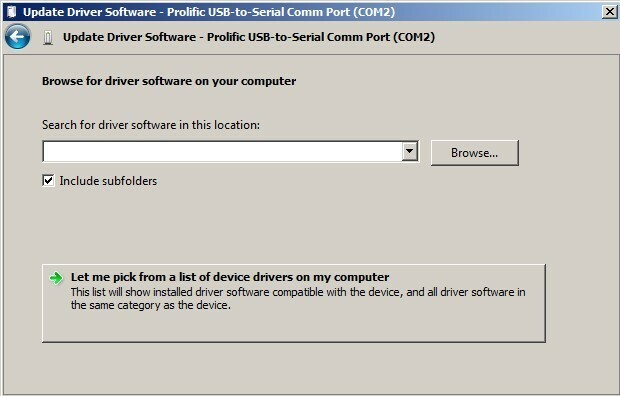 You should now see a properly installed Prolific driver in Device Manger. 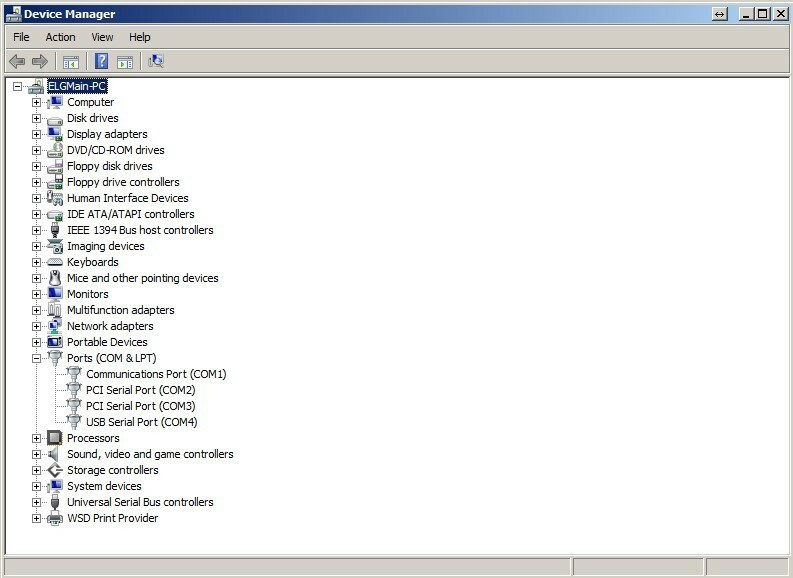 You can check that the correct version by double-clicking on Prolific in device manager and selecting the Driver tab.